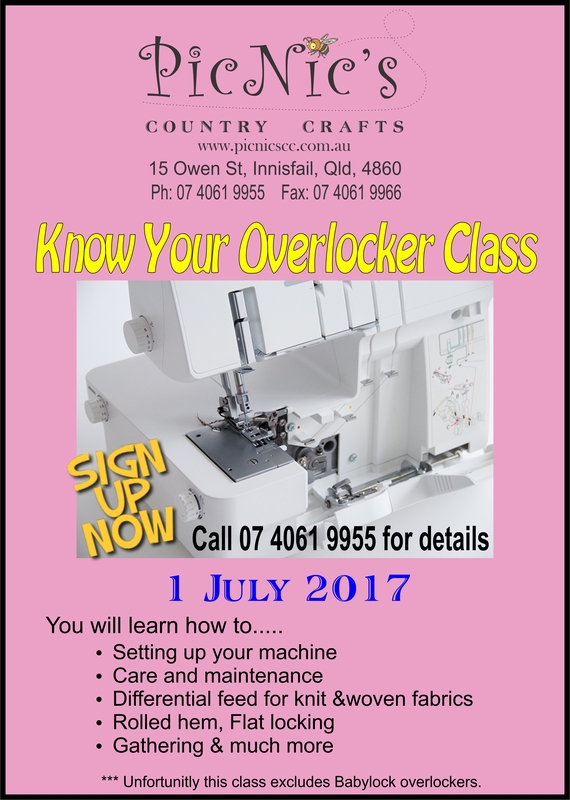 This 7 hour class will give you the complete insight into your overlocker. For further information on this class please contact us here at Picnics. For further information on this class please contact us here at Picnics. Is you machine functioning to its best ability? You may need to have it serviced by our fully qualified technician.